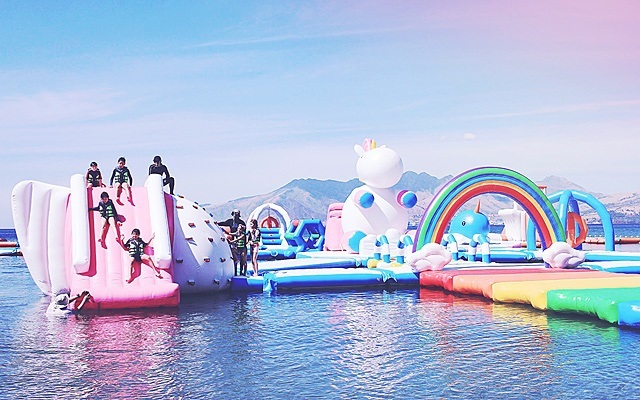 You can bounce to your heart's content! 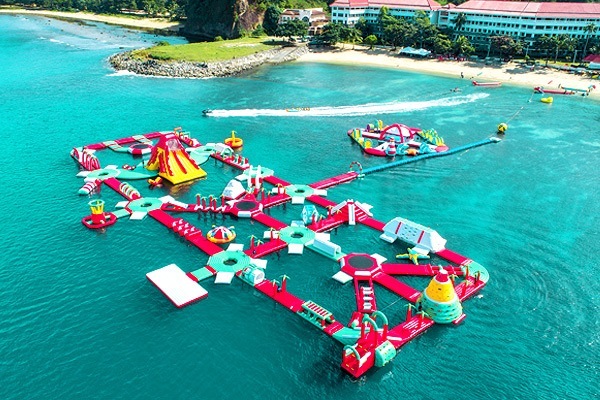 (SPOT.ph) How many times have you wished that the Philippines had its own version of the game shows Wipeout or American Ninja Warrior? 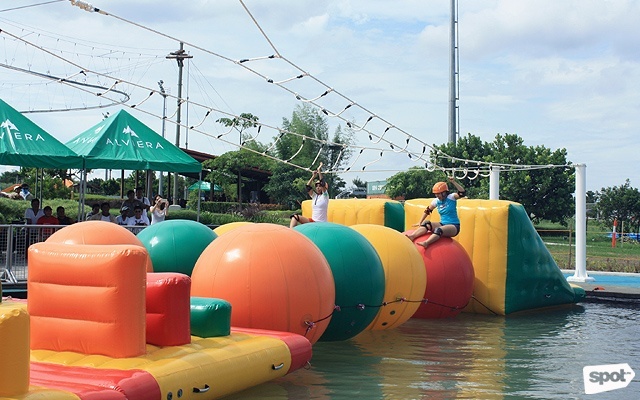 The obstacle course may be challenging, but imagine slaying it out there before getting wiped out. 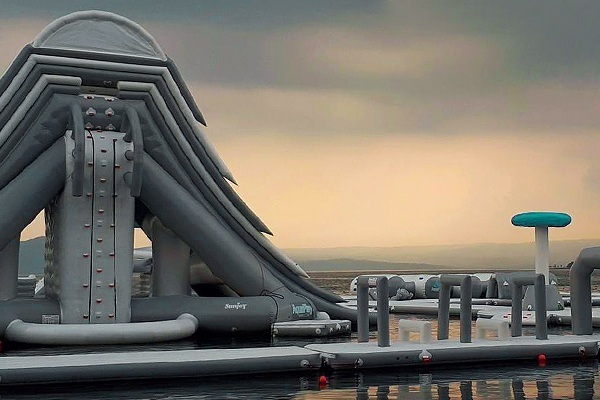 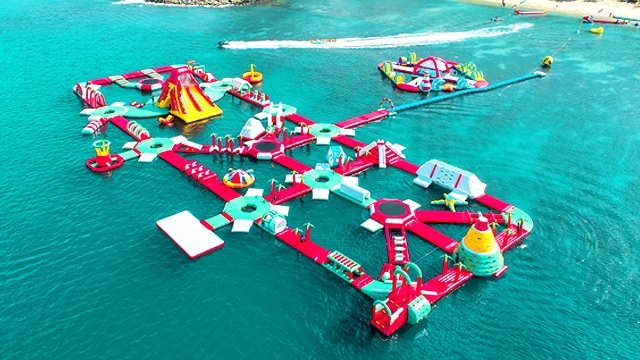 Luckily, huge floating playgrounds have sprung up on our shores—complete with giant slides, human launchers, wobbly platforms, and trampolines. 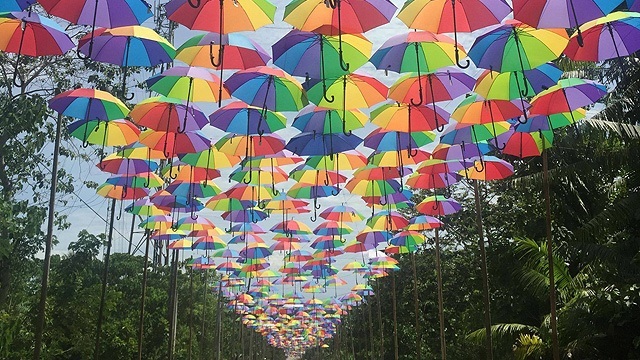 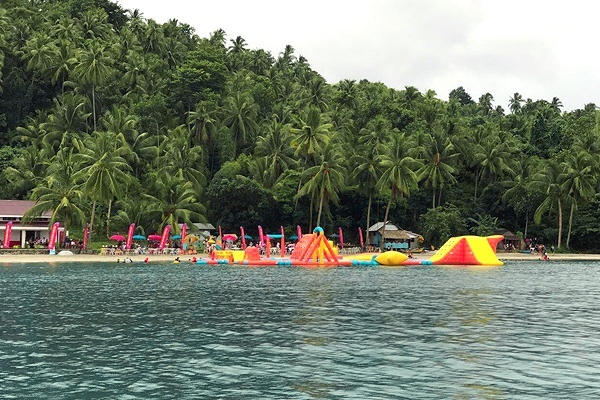 Apart from island-hopping and a visit to the Underground River, you can also find a floating water park in Palawan. 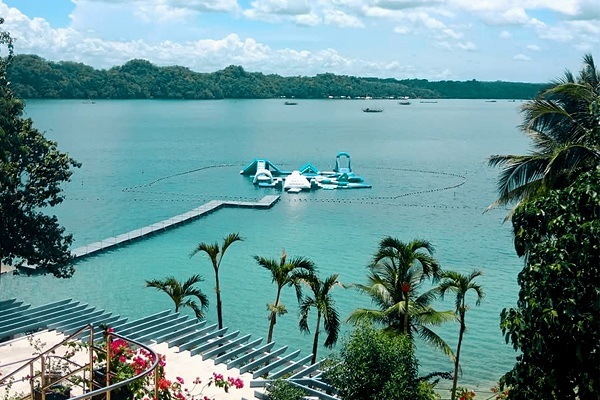 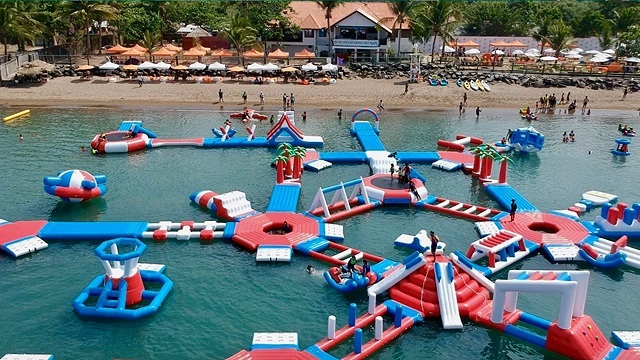 Try out Kamia Bay Resort's floating water park, which is about the size of Subic Bay's Inflatable Island. 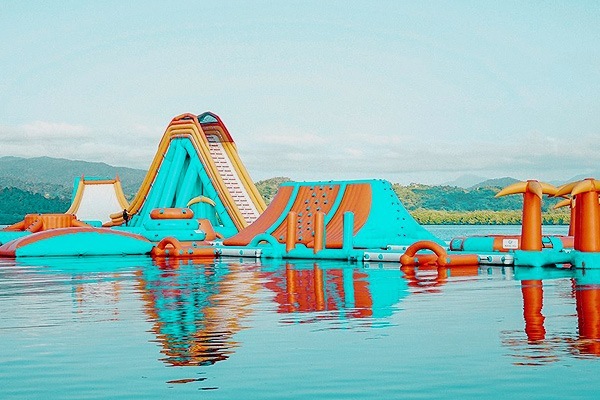 Its crème de la crème is a 40-foot giant slide that will surely test your limits during the climb. 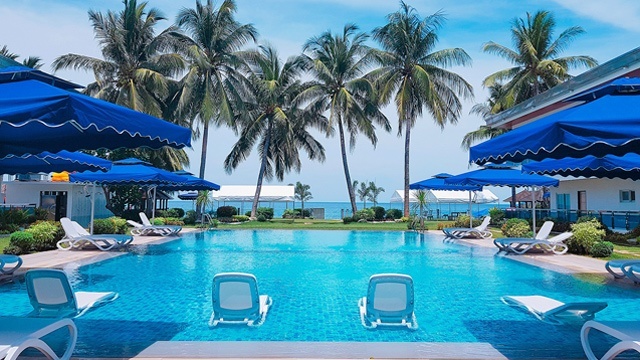 Don't worry though, fees are inclusive of a sumptuous buffet lunch.